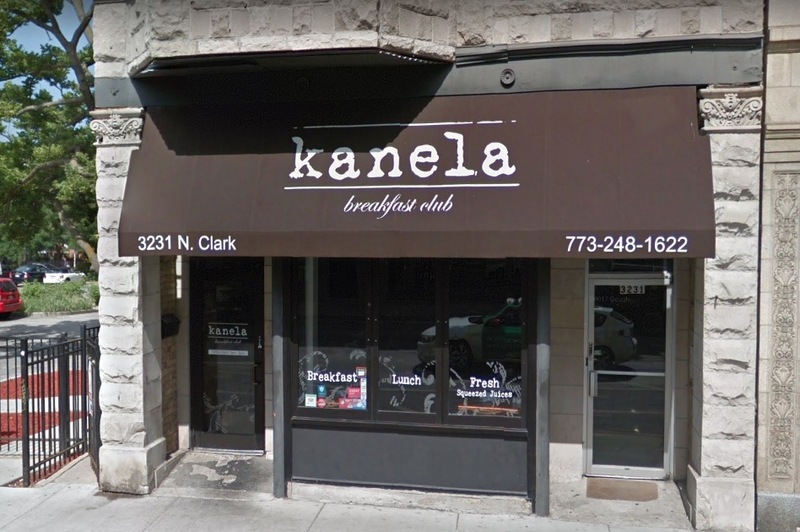 A favorite Lakeview brunch spot has become the latest North Side business to be targeted by after-hours burglars who’ve been the subject of two warnings from Chicago police. Kanela Breakfast Club, 3231 North Clark, was struck sometime between 6 p.m. on Thursday and 6 a.m. Friday, police said. Forced entry was made through the front door, according to police. The burglar pried open the restaurant’s ATM and took its contents along with a DVR. More than a dozen businesses in the 19th (Town Hall) District have fallen victim to overnight burglars since January, according to two alerts issued by Chicago police. On April 4, a store employee interrupted the burglary of a housekeeping service in the 2900 block of North Sheffield at 5:20 a.m. The burglar broke the shop’s front door glass and made entry, but he fled after being confronted by a manager. The Sheffield burglar was described as a 5’10” tall black male in a long black dress coat. He was last seen westbound on Wellington from Sheffield. Restaurants, salons, and cellular stores have been common targets in both burglary patterns.